In the aftermath of Hurricane Katrina, The Greater New Orleans Foundation (GNOF) set up the Community Revitalization Fund: a 5-year, $25 million dollar initiative with both national and local foundations in order to provide recovery funds to the housing sector of New Orleans. 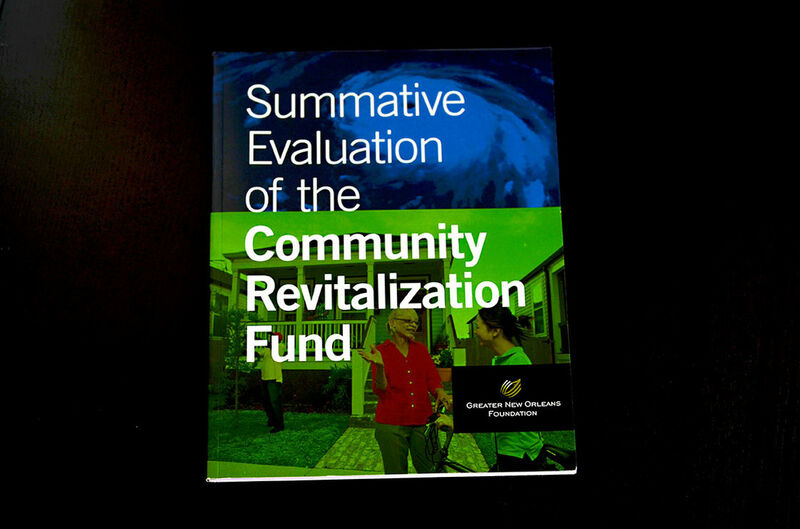 When the CR Fund ended, GNOF commissioned the creation of a full report on the Fund. 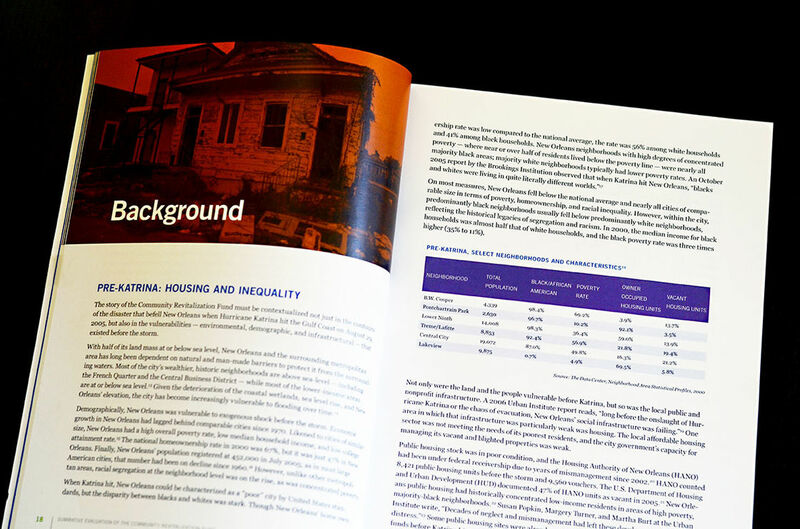 Southpaw Creative was brought in to complete the design of the finalized report as well as a website that would tell the story of the fund through key data, quotes, and video interviews (the latter tackled by Southpaw client FatHappy Media). 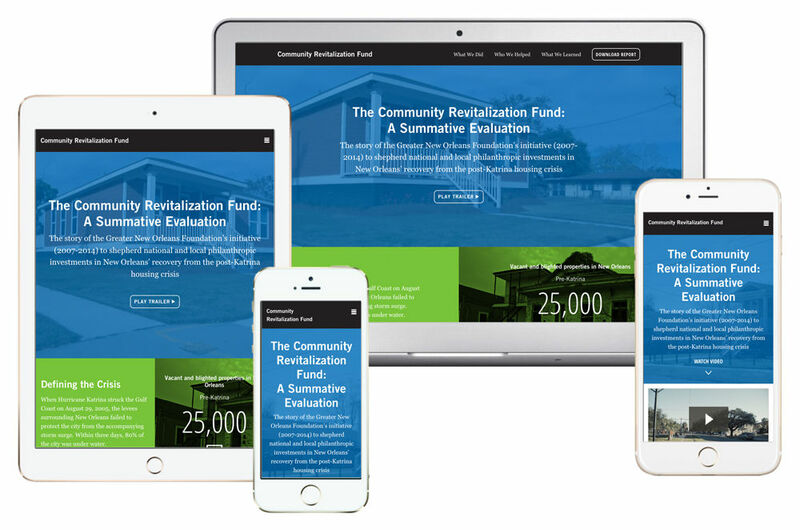 The goal was not only to shine a light on the outcomes of the fund, but also to use it as a case study so that communities who might be in need of a similar fund in the future can learn from both its successes and shortcomings. To that end, we sought to create a design approach that was approachable to all but still a part of the larger GNOF identity. 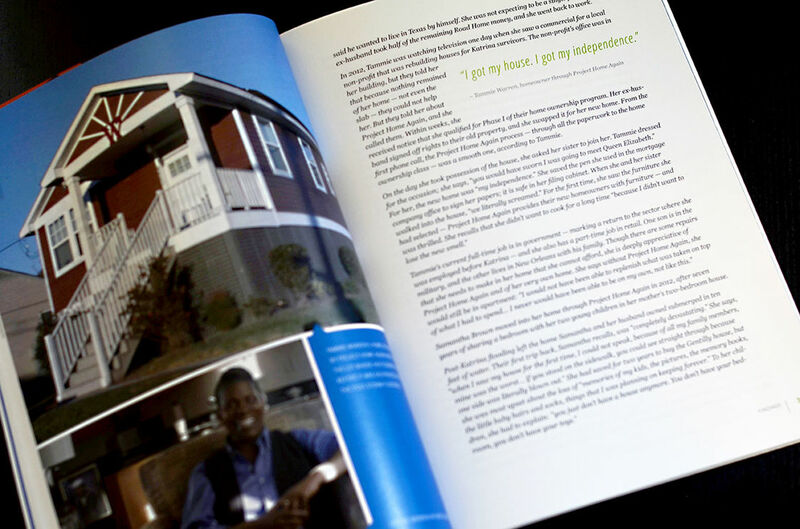 The website in particular was structured so that people could easily move through the narrative in chapters, each containing a video, key data, and quotes from the people who both facilitated and benefitted from the Fund. Responsive website, facilitating easy viewing across any browser or device.